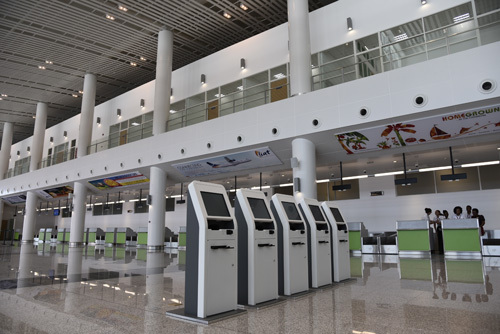 Antigua and Barbuda’s VC Bird International Airport has become one of the most modern gateways in the Caribbean following the opening of its new terminal. The $100 million terminal – funded and financed in partnership with the Chinese government – will equip the airport to handle more than double the 800,000 passengers handled at the old terminal. 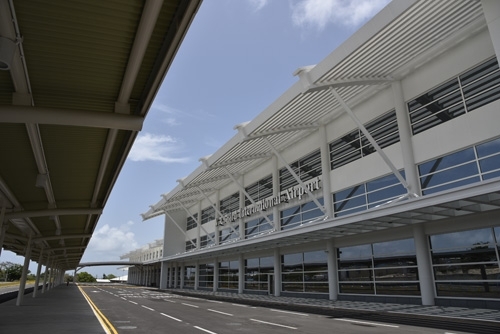 Antigua and Barbuda is already the most inter-connected nation in the Caribbean, primarily due home-base carrier LIAT, and the new terminal means that VC Bird International Airport is now the largest gateway in the Eastern Caribbean. 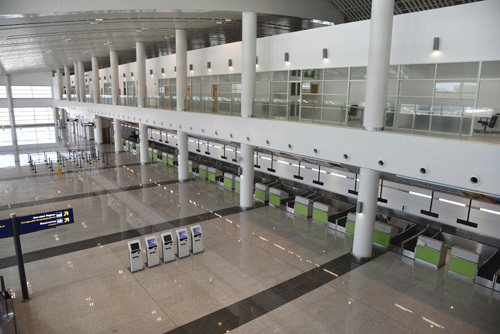 New features include; four jet bridges, a state of the art baggage sorting and scanning system, faster immigration processing times and user friendly innovations and features. The airport claims that the new terminal will greatly improve the passenger experience and ensure that visitors get to spend even more time on one of Antigua and Barbuda’s 365 beaches. Antigua and Barbuda Tourism Authority’s director of tourism for the UK & Europe, says “Our ambitious new terminal ensures that visitors have a world-class customer experience from the moment they step off the plane. The airport now boasts ‘VVIP’, ‘VIP’ and ‘Airport Executive’ lounges. The Airport Executive lounge, with outdoor balcony, offers remarkable views of two of Antigua’s offshore islands – Long Island and Maiden Island, giving passengers the opportunity to bask in the last rays of sunshine before their flight. For those departing, there are now 46 check-in counters and 15 self-check in kiosks. An extended departure lounge offers more space to relax and an enhanced shopping and dining experience with 30 retail units. Free W-Fi and Internet service is available throughout, while travelers with pets can take advantage of the unique pet restroom. VC Bird International Airport currently offers a service to more than 50 destinations worldwide. Airlines serving the airport include on Air Canada, American Airlines, British Airways, Caribbean Airlines, Condor, Delta Airlines, LIAT (1974) Ltd, United Airlines and Virgin Atlantic.